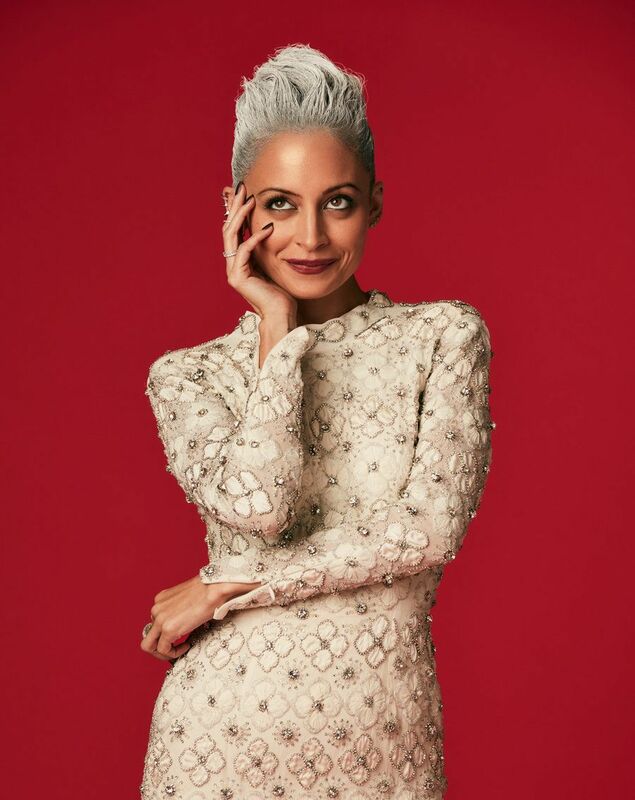 The first time Nicole Richie remembers experimenting with fashion was when she was 8. "I wanted to be Punky Brewster," she recalls. "She was my first fashion icon and I thought she was the coolest. Her socks and shoes didn't match, and I decided that I was going to do the same thing. I went to private school and I wore a uniform, so my only place to express myself was my socks and shoes. My mom was not about it." While Nicole may have first wanted to emulate the style of a lovable '80s-era scamp, in the years since, it's safe to say that it's Nicole herself whose style many women want to copy. Since she first stepped into the public eye following her TV debut on 2003's The Simple Life, Richie has shown a knack for simultaneously capturing an era's fashion zeitgeist (Trapeze dresses! Alexander McQueen skull scarves! Juicy tracksuits!) while also staying true to her own tastes and distinct point of view. As she took a trip down fashion memory lane for our accompanying shoot, revisiting some of her most memorable looks over the past decade and a half, she observed that while many things may have changed about her style, there's still "some sort of a through line." She continues, "I can't put my finger on exactly what it is but... I've always been attracted to color, to a certain drape, a certain fit. I'm never one to shy away from a headpiece. All of those things have stayed consistent, just different versions of them." But, Richie concedes, finding this through line and figuring out what makes her feel most confident and comfortable did not happen right away. "I remember when I did my first round of press for TV right after the first season of The Simple Life and... for whatever reason, I felt like I needed to present myself in a certain way," she says. "I remember thinking, for example, When I go on a talk show, I have to wear a dress and heels — this is the talk show attire. And that was something I always struggled with because it wasn't me." She continues, "I look back on those photos and I'm like, 'The extensions are fun and it's fun to look at that version of myself, but it represents a feeling like I needed to have so many things. '...It wasn't until I became older that I said, 'You know what? I don't think I can go on a talk show and wear this outfit that I'm uncomfortable in because I don't think I can move in it and I can't be myself.'" These days, she says she's established certain guidelines for when it comes to dressing up. "It's little things, like I don't wear red lipstick when I'm going to do a talk show," she says. "If I have to speak, it's just not who I am. I just can't do it." She continues, "Also — I'm cold all the time, so if there's an opportunity for me to throw a turtleneck under something or wear something that's beautiful and long-sleeved, I will absolutely do it... I also don't want to hide behind a lot of hair or a lot of makeup — I just want to breathe and be present and absolutely be there without a lot of armor around me." But, Richie says, these style rules are "not just about comfort. I definitely want to feel bright and alive. I love color and I don't shy away from it at all. I love a print — it gives my 5'1" soul a little bit of height to wear something that's going to elevate my mood." Richie applies these same fashion dictums when she's designing her own line, House of Harlow 1960, which celebrates its 10th anniversary this year. Originally started as a jewelry line inspired by Richie's love of vintage costume pieces, it's since expanded into a clothing, footwear and accessories line and, since 2016, has collaborated on a clothing collection with e-commerce site Revolve. Her love of color, prints, sleeves and flowy silhouettes can be spotted all throughout the brand, and Richie says her spring collection is especially bright. "It's extremely colorful [because] I really want people to feel alive and be excited about life," she says. "We're in a stage right now where there is a lot of turmoil and a lot of heaviness. This is our time to stand up and use our voices, and we need to feel powerful doing that." As House of Harlow 1960 hits its decade milestone, it's easy to assume Richie always knew she wanted to design her own fashion label. Not so, she says. When she started the jewelry line initially, she says she "definitely didn't say to myself, 'This is what I want to do for the rest of my life.'" But as much as she couldn't have predicted her career in fashion, there's someone else in her life who probably could. "My dad [Lionel Richie] had two costume designers, Bill and Edna, who would custom make all of his stage clothes," she says. "I was a figure skater growing up and I became very close with Edna, and she was custom making all of my competition outfits. This was around the time Nancy Kerrigan wore a Vera Wang dress to the Olympics, and I loved that dress. I was very involved with my costume designs and by the time I was about 11, Edna said, 'You have all of these ideas — you should just start making them yourself.'" It was, in fact, the same desire to be more involved in designing her own outfits that spurred Richie to start making clothing pieces for others. "I was in the habit of looking at what was available [in fashion] and feeling some sort of void," she says. "Feeling like, 'But I want it to be this way,' and that's kind of how I got into making my own clothes." And as much as her initial motivations for entering fashion were her own tastes and preferences, she says a feedback loop has emerged where, during the design process, she's gotten a keener understanding of just what these tastes and preferences are. "You actually get to learn a lot about yourself during the process of design and coming up with [ideas] for the brand," she says. 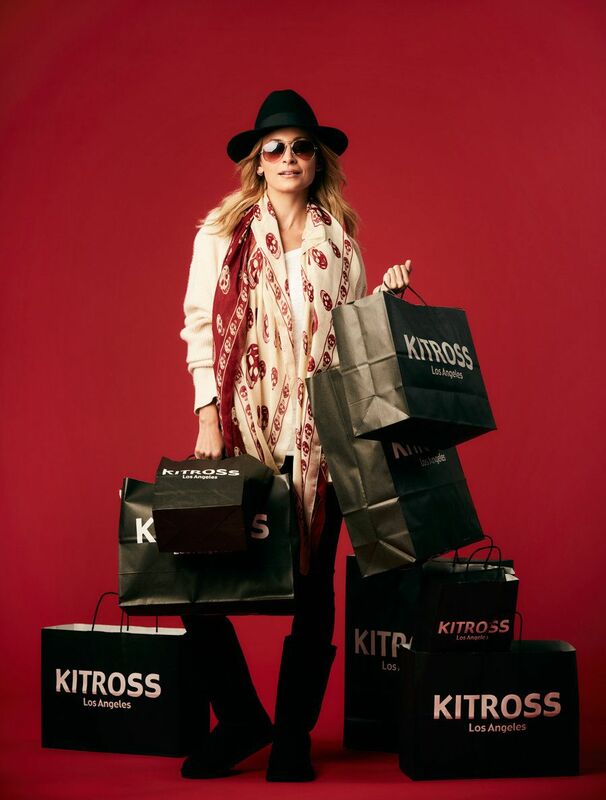 "Every day is an exercise in learning more about myself and diving deeper into the brand's DNA." It's through this design process that Richie continues to parse that mysterious — yet nevertheless tangible — through line that connects an 8-year-old's love of mismatched shoes and socks with printed headscarves, velour tracksuits, oversized sunglasses, flowy caftans, bright colors, bold patterns and more, and makes Richie consistently one of the most fun women to watch on the red carpet as well as to try to imitate back at home.